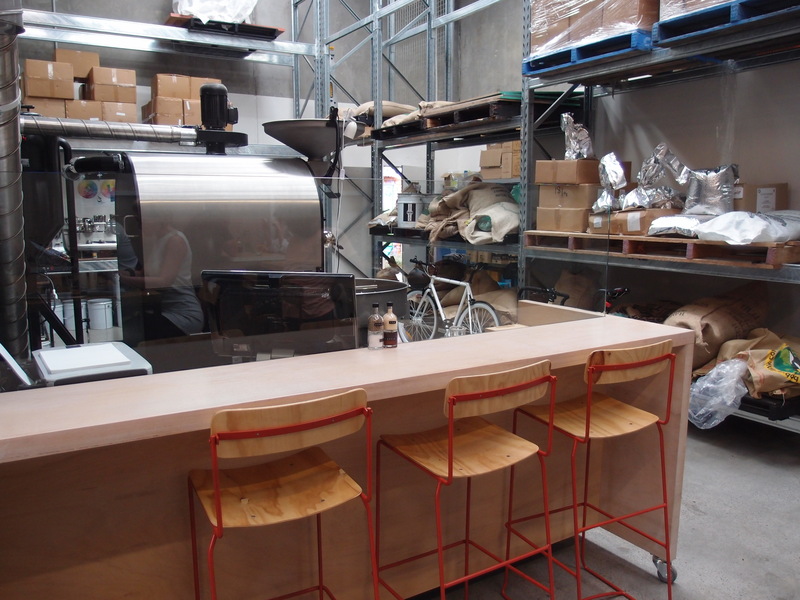 Industry Beans quickly became a Fitzroy favourite when the lads from Penny Farthing down the road in Northcote opened their shipping-container-warehouse in 2013. Fully stocked with a beautiful amped-up industrial on-site roastery at the back of the store and a loft style cupping room, the front counter space is an open style kitchen and prep station. The small cafe opens up thanks to high ceilings and urban mods, bringing a functional workspace together in one; making the most of natural light and contemporary materials. The outside/inside shipping container esq. front courtyard is also a great use of space and is frequented by Fitzroy’s pampered puppies on display. Breaking the mould from everyday, conventional coffee, Industry Beans has become groundbreaking and experimental with their approach. Most notably their coffee balls, served like caviar balls on a Asian style soup spoons are a clear stand out as well as the presentation of their cold brew on a hot summer day. Quirky, coffee experimentation aside, the regular coffee – particularly their signature Rose Street Blend and Fitzroy Street Blend are rich in body and adaptable between milk and black serving options with notes of lemon acidic hints, blended between caramel and dark chocolate bittersweetness. 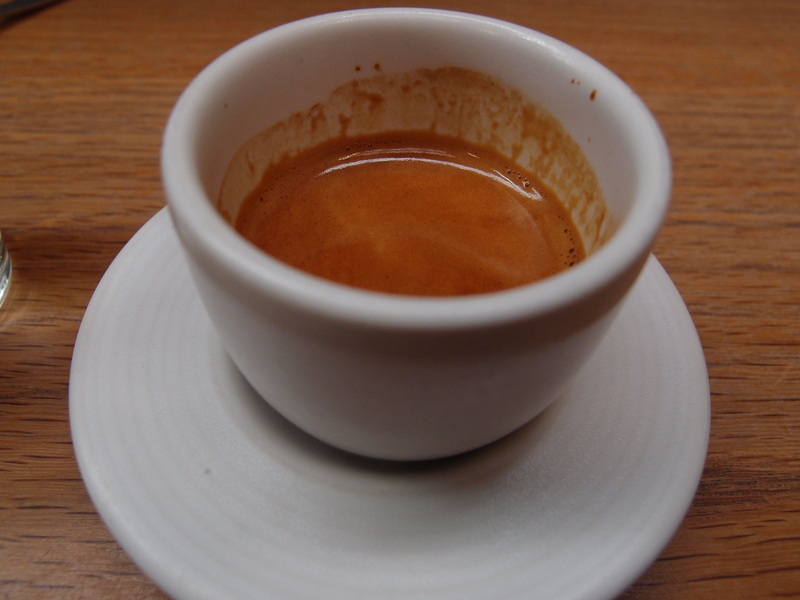 Whether it is served as espresso, latte or long black you’ll be impressed. The baristas use a La Marzocco Strada as well as old favourites for AeroPress, syphon, pour over and cold drip methods. The food is of equal measure with a new chef heading up the kitchen in the last few weeks. The menu is very much focused on fresh flavours, starting to shift towards a summer breakfast menu but keeping the densely meaty options. With a touch of winter warmth from the steel cut oats and chia and polenta porridge to spring style Lemongrass beef ribs and coffee rubs wagyu, serving sizes are small but reasonable, allowing you to taste the food and the flavours on offer, creating a food experience, rather than just ramming down some fried eggs on toast. 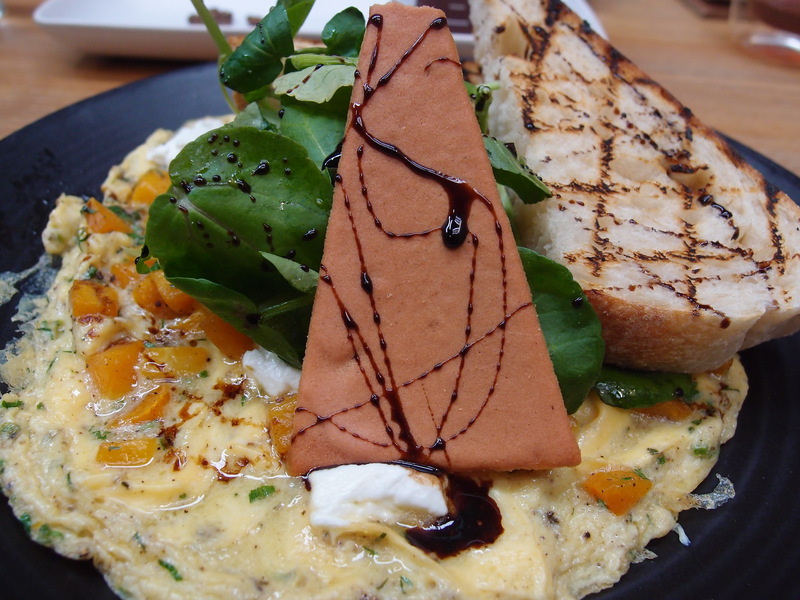 The pumpkin and chervil omelette is light and fluffy and is a perfectly savoury mouthful mixed with a dollop of creamy goats cheese. Served with fresh toast (not too much) on the side and a big dollop of balsamic vinegar. 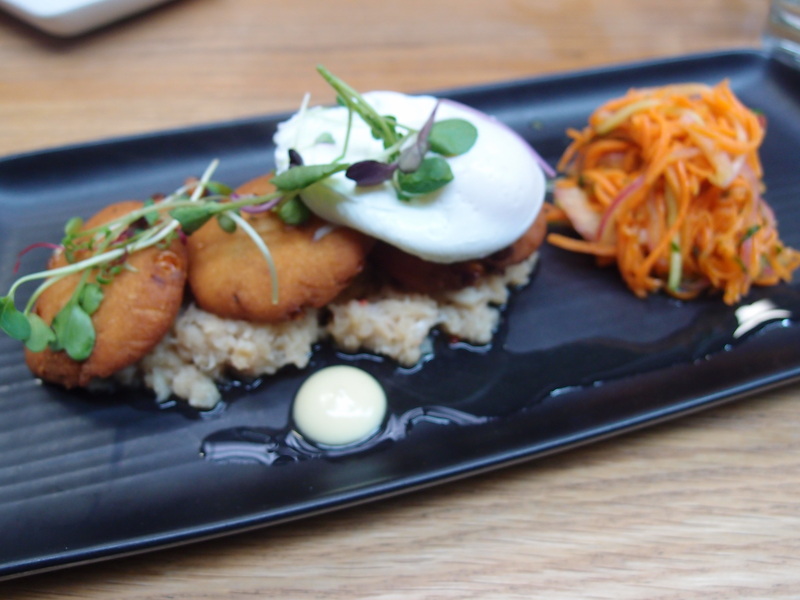 The Coriander Hoe Cakes come with two options; crab or pulled pork and served with pickled carrot salad, wasabi aioli, chilli and caramel sauce over a poached egg. Sparing but filling, this dish is full of bursting flavours that blend well together, and are delicate and delightful on their own. 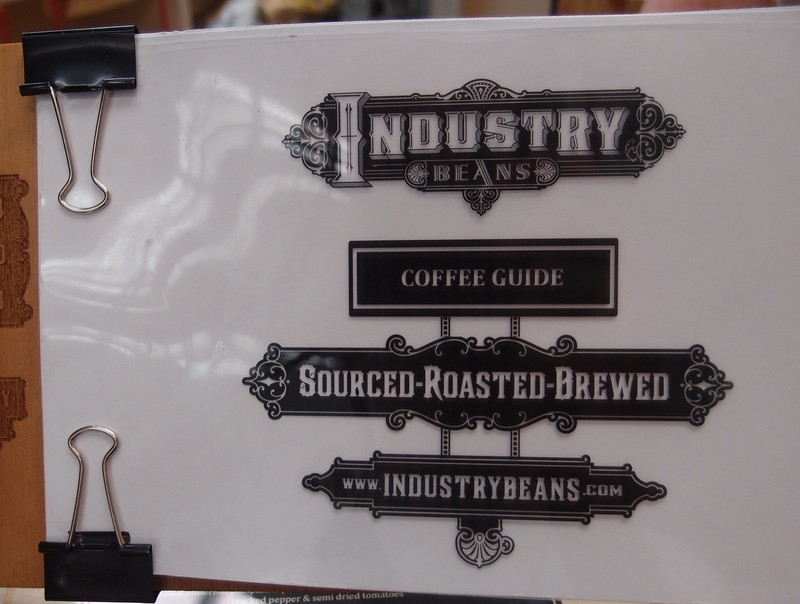 Industry Beans is open 7 days where you can sample some great food, sip away from the coffee menu or take some coffee home to play with. Warehouse 3 62 Rose Street Fitzroy.